This restaurant opened at S Maison near our office last November 9, but we already had plans for the week so we just made a pact that we would try it this Friday, and a pact is a pact. We arrived the restaurant a little after 12nn and the place wasn't really full, although there were more people in the restaurant compared to other establishments in S Maison. Then, as we were browsing the menu, we noticed that people started swarming in. The restaurant was suddenly busy. The menu of the restaurant is very nice. Everything had pictures and it pretty much looks the same with what will be served on your tables. This makes it easier for diners to decide on what they want. They also utilize the ordering system most dimsum houses have. They will give you a sheet with all the items in their menu and you'll write the quantity you'd like to have per dish. 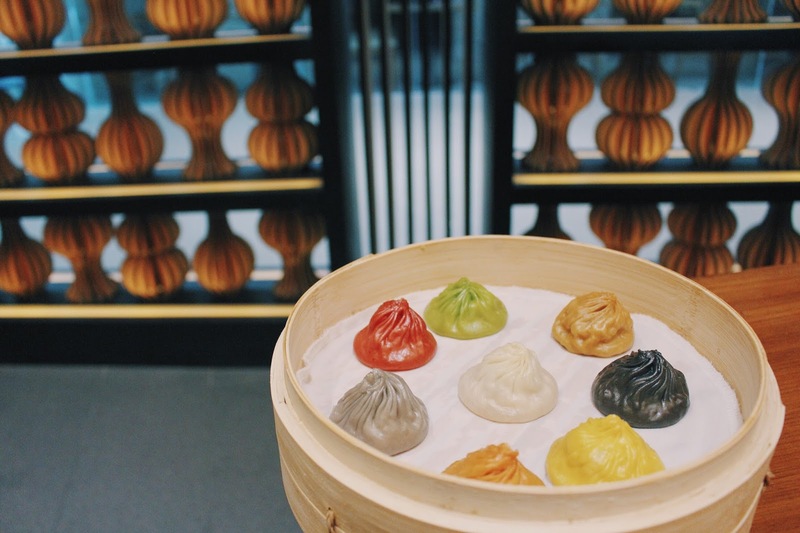 We ordered the Lotus Paste Bun with Salted Egg Yolk, Yang Zhou Fried Rice, La Mian with Sliced Pork, and the Special Dynasty Xiao Long Bao. We also asked for their complimentary hot tea. The white bun looks like a siopao bun but tasted differently. The bun was soft, fluffy and not "crumby" (unlike a siopao that has small bun crumbs falling off in every bite). The lotus paste reminded me of the inside of a buchi, but thicker. 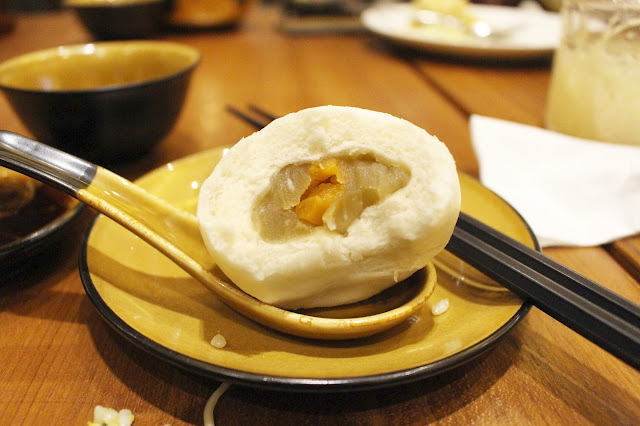 The salted egg yolk in the centermost of the bun is like that of a mooncake. This was good. 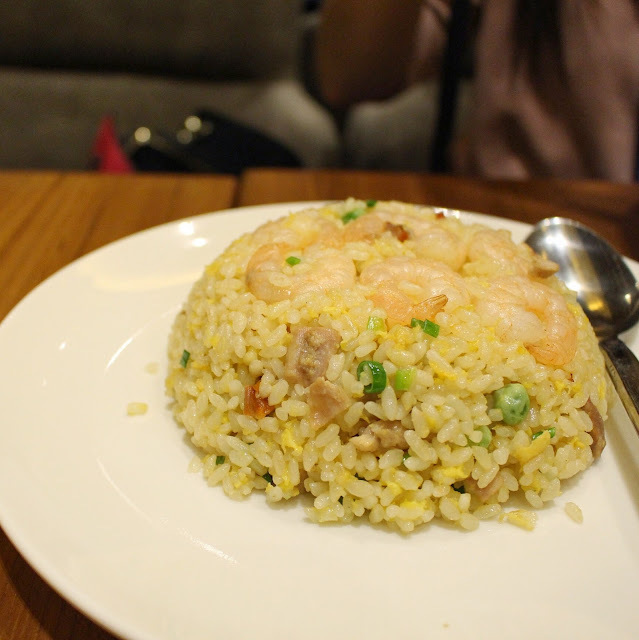 Delicious yang zhou fried rice with lots of toppings. I liked that the rice they used didn't taste old and hard. Serving size is not really good for a family, in fact I think my brother can finish one plate of this rice (yes, being gluttonous runs in our blood, lol). I loved this! Looks can be deceiving, huh? 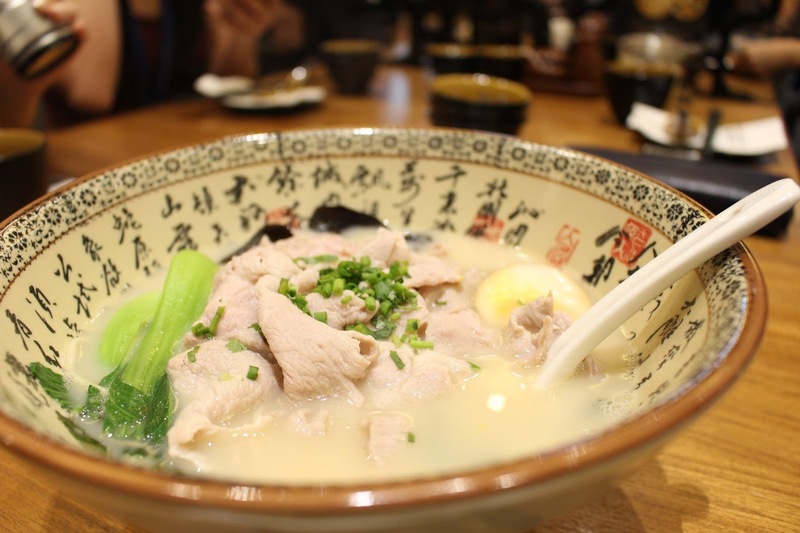 I think this is a fusion of the Japanese ramen and the Chinese noodles, but I guarantee that you'll be able to tell the difference. 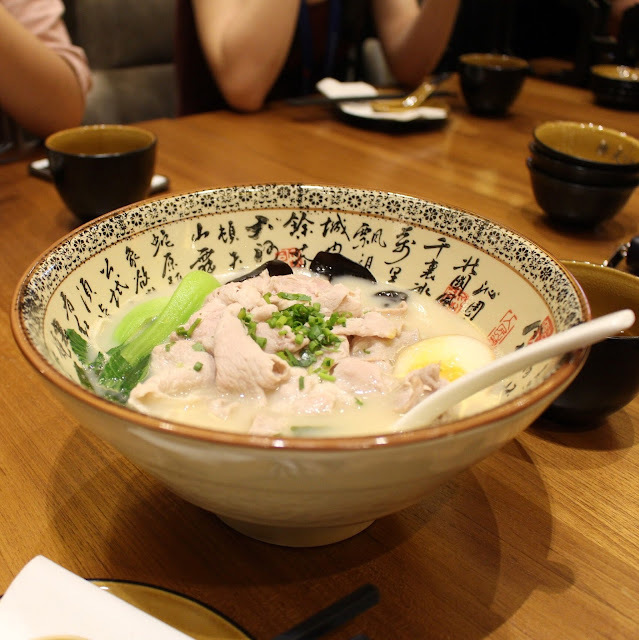 The silky, thick and rich broth resembles that of a ramen, while the noodles is definitely Chinese hand-pulled noodles. 8 different flavors in one plate, plus a sequence on how to eat it? This is a very cool idea. The curiosity in what will come next is really exciting. Down to taste, the flavors are very distinct indeed, but I can't really choose a favorite! Of all the flavors, the one that really stayed in my mind was the original, maybe because I was so surprised from that first bite. 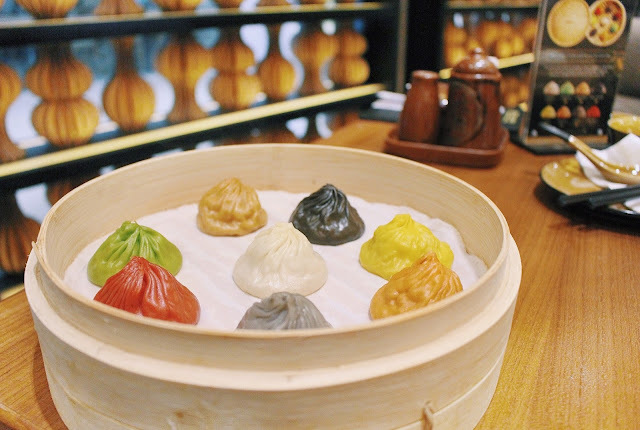 Original - as soon as the wrapper breaks and the soup starts to flow its way to my tongue and all the elements meet, I felt a different sensation in my mouth - something I don't usually feel and something I certainly didn't expect from a xiao long bao. The soft, perfectly kneaded wrapper, the flavorful juice, and the succulent meat are what makes this simple dimsum a legend. 1. 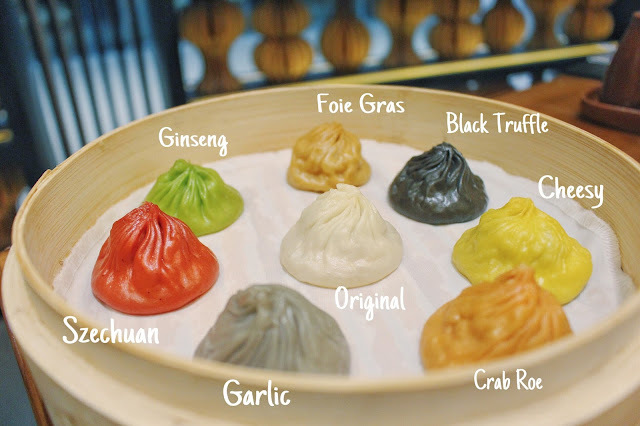 Original - as soon as the wrapper breaks and the soup starts to flow its way to my tongue and all the elements meet, I felt a different sensation in my mouth - something I don't usually feel and something I certainly didn't expect from a xiao long bao. The soft, perfectly kneaded wrapper, the flavorful juice, and the succulent meat are what makes this simple dimsum a legend. 2. Ginseng - at first bite it tasted funny, but after a few seconds it started tasting good. 3. Foie Gras - I'm not really a fan of foie gras so this was okay for me. 5. Garlic - the garlic wasn't as strong as I imagined and I liked it. 6. Crab Roe - my least favorite. I didn't appreciate this one. 7. 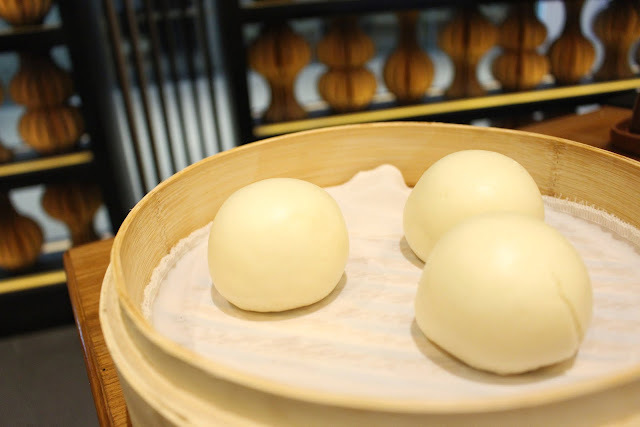 Cheesy - melted mozzarella cheese inside a xiao long bao. I'm a fan of cheese but when it's inside a bun or a ball, that's a different story. 8. SzeChuan - Szechuan dishes are known for being really really spicy, so I gathered all my strength before taking the bite. It wasn't that spicy. There was a kick but nothing too strong for me. The spice in it was also something very familiar. I would have easily given the restaurant 5 stars if it weren't for their service. My friend waited sooooo long for her La Mian to be served. I've already finished all of my 8 xiao long baos and her ONE order still hasn't arrived! They repeatedly apologized telling us that the kitchen was so jammed because of the number of customers, but we were convinced that they've just forgotten about it. It's the flaw in an otherwise perfect lunch. Other than this mess, our server was very accommodating. He even offered to divide our la mian into separate bowls for us. The ambiance of the place is quite lovely. The wooden tables, and the black and gold tablewares never go wrong on making anything look simple and classy. I'm someone who prefers siomai over xiao long bao, but things change. Their xiao long bao is worth changing for lol! I will definitely come back to have more xiao long baos, and perhaps just the original flavor since it's the one I really loved (plus I'm not so good with the other flavors). I am also interested in trying other dimsum items.